The thing about a kids show? You can watch it as a kid, love it as a kid, and it will remain forever one of your favorites. Eventually, however, you look at it as an adult. And then, it is inevitable, there will be aspects you now see as faults, things which make it less riveting to you as an adult than it was as a kid. Though you will always love it, particularly certain parts which are a bit less geared towards children, it has now become more difficult to dwell on the good things about it. You see the flaws, and the only reason you don’t care more about them is just because you first experienced it in your childhood. Rurouni Kenshin tells the tale a wandering, masterless warrior, Kenshin Himura, as he strives to protect the people close to him. A legendary warrior of the Meiji Revolution, Kenshin has sworn never to take another human life, which makes for a stark contrast against his bloodthirsty enemies, including psychotic killers, common criminals, would-be kings, elite fighters, and so on. Even Kenshin’s sword reflects his oath, being a reverse-blade sword, meaning, having the sharp edge on the inside of the katana’s curve. Yet, he can hold his own and even dominate against most enemies, and do tremendous damage, so he tends to have the advantage more often than not. That’s actually something of a point against the show, I think. We all know the stories where the central protagonist is the most powerful fighter, and I didn’t particularly mind this as a kid, but as an adult, now, I realize how underwhelming and monotonous that is. Kenshin’s immediate circle of friends and allies aren’t helpless, but they get relegated to being the people Kenshin saves far more often than not. It’s a highlight of the show, actually, when each of them gets a chance to shine against formidable enemies. It happens far too infrequently. Mind you, I wouldn’t care so much if I didn’t care about the characters. 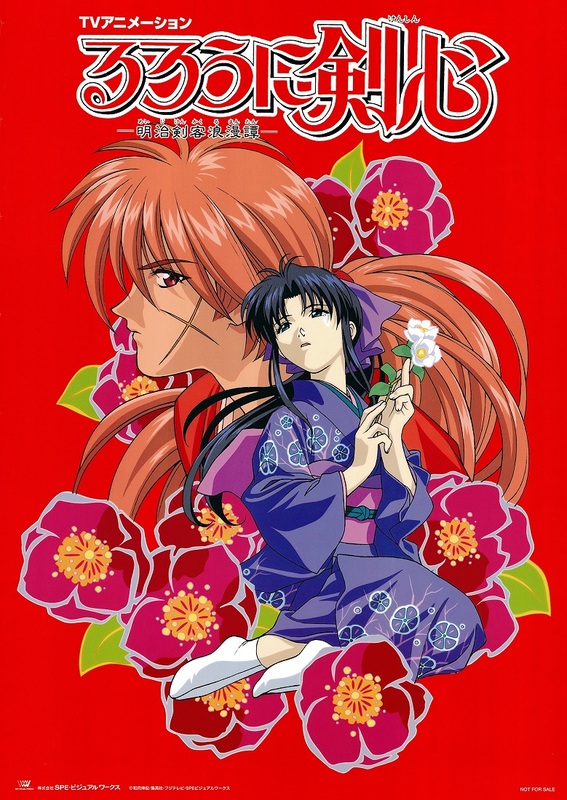 Kenshin is a wise, lovable semi-doofus who switches into a much more dangerous mode of behavior when someone he protects is in danger; Kaoru is a strong, beautiful young woman and a capable martial artist; Yahiko is a proud, defiant young boy; Sano is a noble tough guy with a heart-wrenching past; and so it goes, each new face bringing his or her own charm to the cast. That goes for some of the better enemies as well, especially those of the second season. Speaking of, the first season is a loose collection of endearing, albeit campy, stories about these characters going about and righting wrongs. Then the second season is a single arc with multiple fronts and threads to follow, and it is amazing, even if the fights strain credulity. The third season is the one where they make the most mistakes. It’s another loose collection of stories, but one that utterly lacks tension and even most of the endearing qualities of the first. It shifts from super serious to comedic and back again without warning, it shoehorns the recurring characters in over and over, and it amounts to very little. There’s a reason people like the first, love the second season, and hate on the third. Still, even at its worst, Rurouni Kenshin tells the story of people we like as they deal with dangerous, sometimes complicated, situations. A number of Kenshin’s enemies are just brutes and thugs and killers, but others have more intricate motivations. While they are cast as “evil,” they are, quite often, the result of what has been done to them. Many are fighting for revenge against a system that is anything but just, and so it is not justice which Kenshin and his friends fight for, but for mercy. They fight to protect the innocent people that are caught in the enemy’s path. Thus, the heroes are heroes, but the villains add a compelling depth to the question of what makes them villains. That, alongside some of the more tragic, bloodier scenes, is quite a contrast against other kid’s shows. That may be due to some cultural differences, as children in Japan are expected to be more mature than they are in the USA. Or maybe they just don’t expect them to not be ready for it. Either way. One has to forget most things other than dramatic flair when watching the show. Just sit back and enjoy how it feels, for the most part. 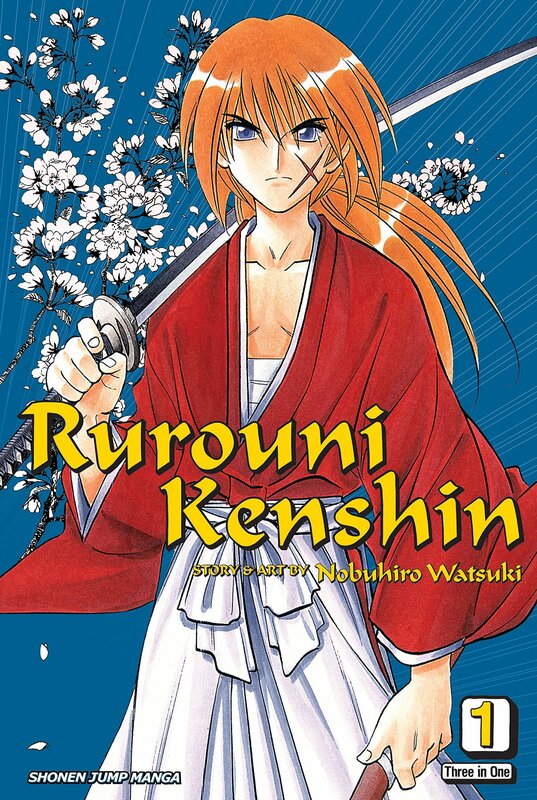 All in all, Rurouni Kenshin is hilarious, heart-warming, a thrilling series of adventures, and even poignant at times. It just merely happens to also be more ideal for kids than for adults. And, really? There’s nothing truly wrong with that. Rating: 8 stars out of 10. 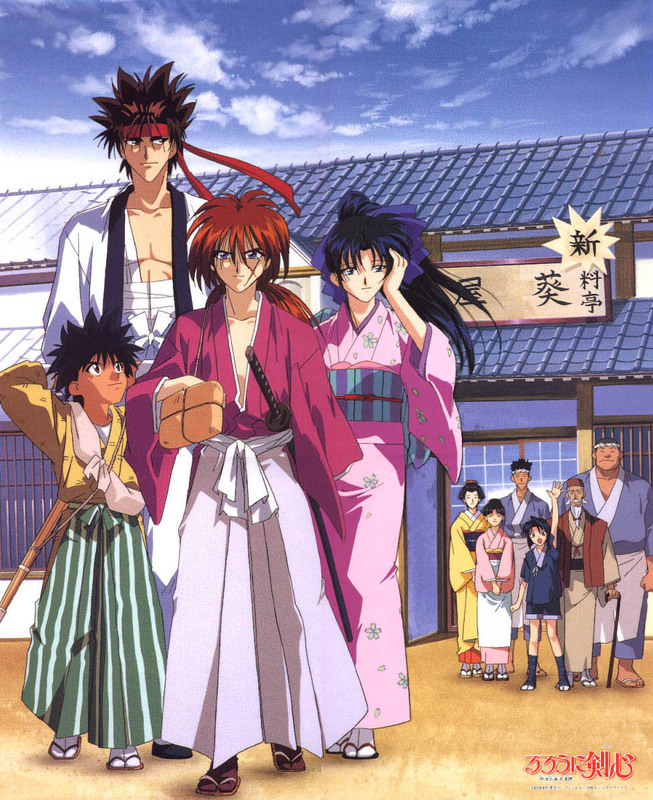 This entry was posted in Anime and Cartoons, Tuesday Review and tagged Rurouni Kenshin. Bookmark the permalink.